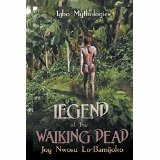 Legend of the Walking Dead: Igbo Mythologies | Our Lady of Victory Remembered! It is my honor and privilege to welcome Joy on her 4WillsPublishing Tour. Joy, I was so excited when I got the word that I would be hosting you today. I am a big fan of your work, Mirror of Our Lives: Voices of Four Igbo Women. Your issues are about disrupting the status quo and that makes you a super woman. At least that’s how I feel about you. You have to be politically incorrect to write about customs and norms in your world that target and demean women. I think it happens all over the world. I can appreciate you for shedding some light on this delicate subject. And now, on to a supernatural thriller!! Well let me tell you – I got my copy of Legend of the Walking Dead: Igbo Mythologies so I guess I better start reading it. Let’s give Joy a big welcome and support her all the way on this leg of her tour! Finally, Osondu could travel without going through the pain of fire, snow, or water. Now he could sit in a safe place, and his spirit could leave his body and travel. At the destination he could remain in the spirit or borrow a body. If the place was populated by humans, he landed in a human body; if animals inhabited it, he landed in an animal body. Just as he assumed the appearance of the beings in the worlds he visited, his spirit left that appearance the moment he moved away from those worlds. Before he finally went to Akajiana, he returned to his father’s house to wish him his final farewell. He wanted him to have closure. After he arrived, he waited until night fell so he could talk to them in their dreams. “Papa, you were right about me,” he said over his father’s sleeping body. “The power of prayers brought me back and put me in my old body. It wasn’t really me and yet, it was me … hard to understand … I want you to know that I’ll always take care of you and my siblings. If you believe in prayer, pray. If you believe in divination, divine. I am gone, but my spirit lives. You’ll never want again.” He spoke to his sister and brother also in their dreams, and after that, he touched their foreheads with two fingers and said, “Remember me always.” With that, he left them. The next morning, Papa Osondu told the story of how Osondu visited him in his dream. “But, Papa, he looked like him. He spoke to me also in my dream,” Osondu’s sister said. “And me, too,” her brother said. “The person we saw was a Walking Dead,” Osondu’s father said. “I know them, they never age. They never change their appearance. My son died many years ago,” he added emphatically as if to end any further discussion about Osondu. Osondu landed in Akajiana, in Oke Offia, and went straight to look for Sister Aug at her cave. She should be able to tell him where his mother was. His mother sat at the entrance to the cave. She looked up and her eyes widened. “What?” she exclaimed, rushing over to him. “Ossy, is that really you? What are you doing back here?” She embraced her son and held on to him, unable to contain her surprise. She pushed him away and looked at him, then hugged him again. “So, tell me everything,” she said, at last letting him go. “I am listening.” She sat and waited. “Oh … she’ll be here soon. She’ll be shocked to see you.” She led her son into the cave and brought him some food. He ate and rested, and when he woke, his mother and Sister Aug were preparing legumes for their evening meal. “Aunty,” he cried in excitement, then raced over to Sister Aug and greeted her with a hug. “Like I told my mother, it is a long story. Do you really think I’m changed?” He directed the question to both women and they nodded. On her return to Nigeria in 1972, Joy was appointed to the position of Producer of Music Programs at the Nigerian Broadcasting Corporation (NBC), Lagos. She occupied this position until her appointment as Music Lecturer at the Department of Music, University of Lagos, on April 15, 1975. In 1977, Joy Nwosu married Abubakar Lo-Bamijoko (now separated) in Lagos. She is blessed with three wonderful children–Amanda Onwuka, Edochie Samuel Nwosu, and Hana Lo-Bamijoko. Her youngest daughter writes poems and lyrics to songs and she also sings beautifully. Her career activities in Nigeria included recitals, full stage performances and concerts, radio and television broadcasting, radio and television performances and concert tours. She also attended national and international conferences and workshops. 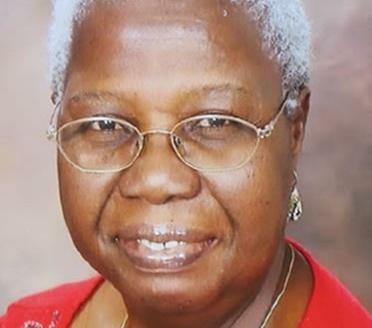 Joy was Head of the Music Department at the University of Lagos from 1986 to 1987 and was later Head of the Music Unit of the Center for Cultural Studies, University of Lagos, from 1989 to 1992. 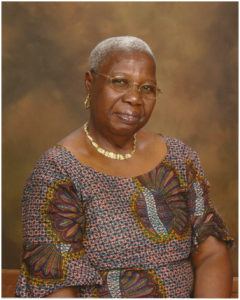 As a music faculty at the University of Lagos, Joy taught several courses including voice, beginning piano, fundamentals for music literacy, African music, choral music, stage production and movement (dance). She enjoyed teaching voice the most, her major instrument. Some of her former students who are still very active today in the Nigerian music career are Funmilayo Boamah (soprano, music educator, music entrepreneur, and choral conductor) and Ayo Bankole jr. (pianist, organist, composer, and music entrepreneur), son of the famous late Ayo Bankole sr. Joy held several academic and administrative positions in Nigeria and all around the globe. 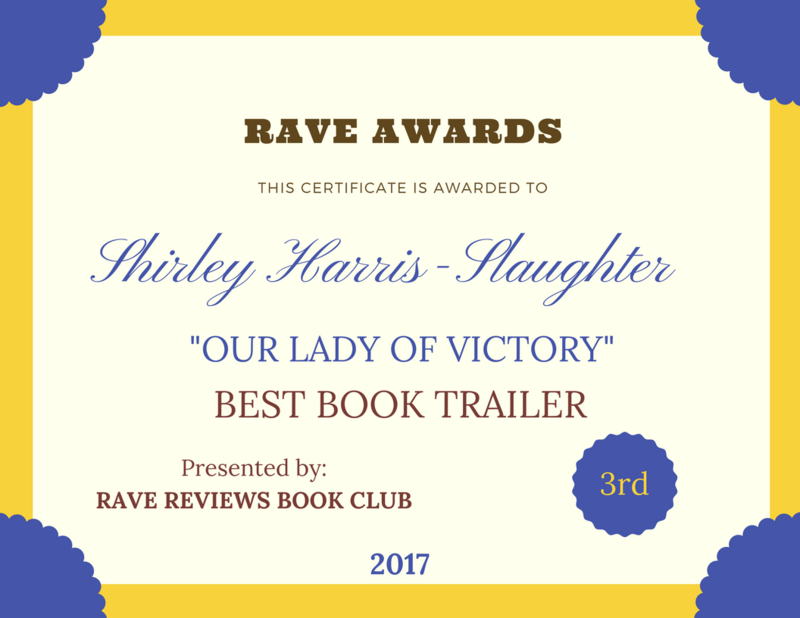 This entry was posted in Host and tagged Joy Nwosu Lo-Bamijoko, Legend of the Walking Dead, Papa Osondu, power of prayers, Sister Aug on August 14, 2015 by Shirley Harris-Slaughter. Welcome Joy! You say that you re-made your book? I have a kindle copy purchased months ago. Is it ok to read? Just wondering. I hope you feel comfortable here on this stretch of your tour. I don’t know what to say Shirley. You are just too much! Your words of encouragement, your support, are just too overwhelming. Thank you so much for hosting me today, and thank you for your wonderful words. If you purchased the Legend … about three months ago, you have the re-worked one. If more than three months ago, it could be the old one, but how you know, is from the cover. If you have the old one, please allow me to send you a replacement. I’m glad you are here Joy. You do so much for RRBC members. You deserve to be supported. I checked and I got my copy in May so I’m safe. I have it on my TBR list. But I’m going to start now that I have a break. Good luck and enjoy your tour! The topic is fascinating!! Bless you Shirley, and thanks again. If you got the copy in May, you will be reading the re-mastered one. Happy reading. I hope you enjoy it. A fantastic post, Joy. I hope this tour is bringing more readers to your work! Thanks for hosting, Shirley. Your support is second to none! Love the post, Joy and Shirley! Have fun on your tour, Joy. Thank you Beem for always being supportive and Kim thank you for passing this blog on. Joy, this is a great post! I loved the book excerpt. I’m going to have to get started reading your book! I can already tell I won’t be able to put it down. Shirlry, thank you so much for hosting a stop on Joy’s tour. Rhani that’s the nicest thing that anyone has said to me, although I don’t know about all that. I think my fellow members are the best and that includes you for being so supportive of me. I enjoy the camaraderie we have in the club where we get to talk to one another thru blogs and the chat room and contests, and on an on. And its a joy to host every now and then. Thanks so much for stopping by today. You made our day!